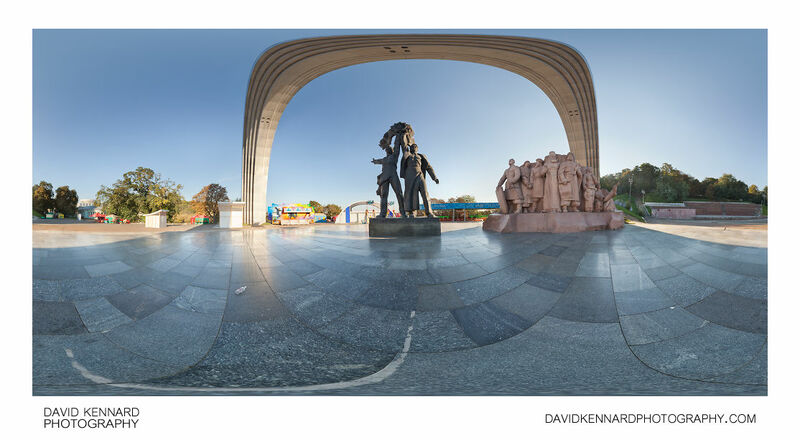 Panorama under the Friendship Arch in Khreschatyk Park, Kiev. The Friendship Arch (Арка Дружби Народів) is dedicated to the friendship of Ukraine and Russia. Construction work started in 1978, and the arch opened on November 7th 1982, commemorating the 60th Anniversary of the USSR and the 1500th Anniversary of Kiev.